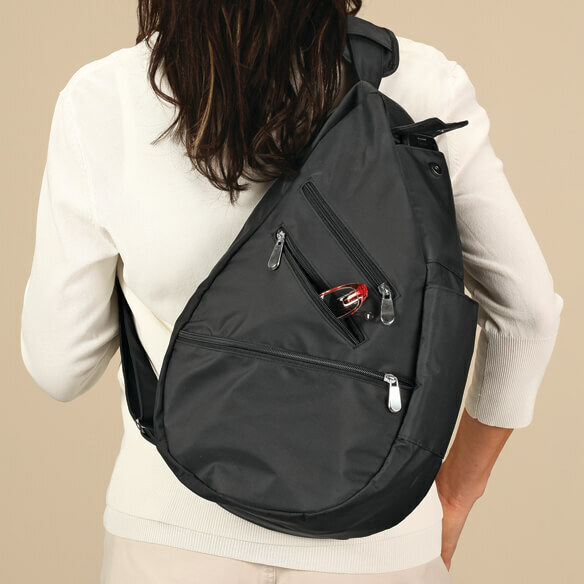 Multi-compartment Ur-Go bag keeps you stylishly organized wherever your day takes you. 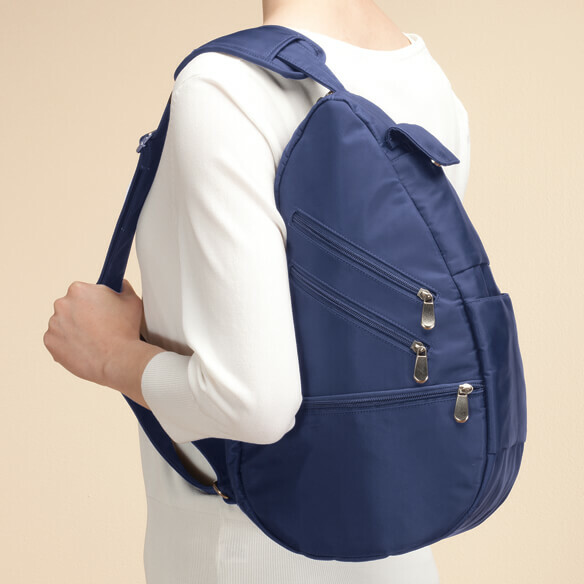 Comfortable, padded strap adjusts from 27" – 44"L for use as a shoulder or crossbody bag. 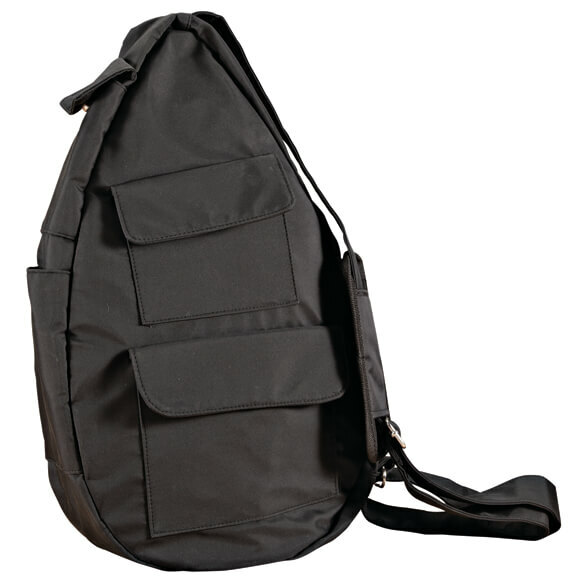 11"W x 5 1/2"D x 15 1/2"H bag is made of hand-washable polyester/nylon. Shoulder bag features 3 front zip pockets, one with RFID lining. 2 easy-access, snap-close pockets on back. 2 side pockets perfect for phone and umbrella. Interior features 2 zip pockets, 2 pen pockets, 4 slots and convenient attached keyring. Love the pockets. The shade of gray is almost Lilac. But I like lilac or purple anyway! I can't afford the $75.00 version and they don't make Navy! It is easy to carry both to work and travel. It also has a separate compartment for wallet and outside pocket I use for my phone. Looks like it would be a great way to carry a purse. Hope it is as good as it looks. I haven't carried a purse in years and this style of bag is perfect for me!!! MY FRIEND HAS BEEN LOOKING FOR THIS FOR MONTHS. Great bag for everyday use! I need more room for water bottle and everything else. I travel with Red Hats and I think this will be easier to handle whe I have my suitcases. Haven't been able to find these bags anywhere lately -- so happy I found them here -- they are my favorite. Easy on my shoulder and neck. Many pockets. looks need and less expensive than the ameribag. I want a bag that will be out of my way when I'm shopping. I need a new organizer bag and I have purchased this type before and it works for me. Comfort my shoulders hurt and this bag may help that. I have had these for many years. They are really comfortable to have on your shoulder. Very nice and roomy. They are hard to find. And this was a great price. Hands are not able to hold a purse. Like that it is RFID protected. 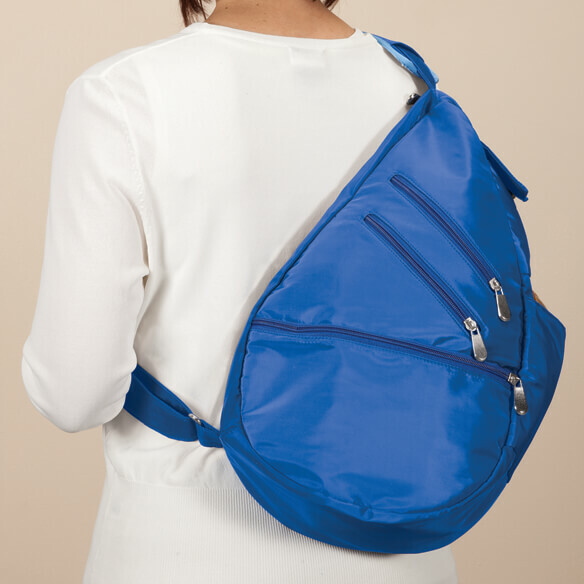 I am going on a trip to Europe and I think this will be perfect for carrying my belongings while sight seeing. Had one similar, but it wore out. 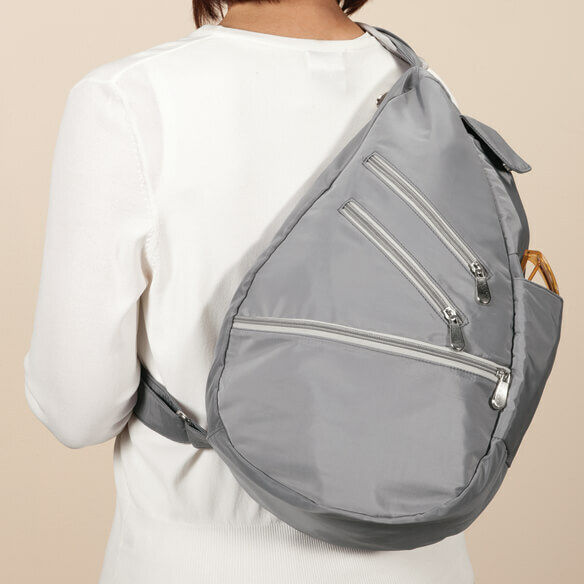 Like the fact that it can go over shoulder or cross body. Because I needed a bag that was easier to carry when I have to have my hands free for other things. I can carry items and keep both shoulders lined up properly. Yes, If you are asking if this bag has inside pockets. it has a nice amounts of pockets which I like about this bag. 2 outer pockets 10 card slots on inside. I really did not care for it.